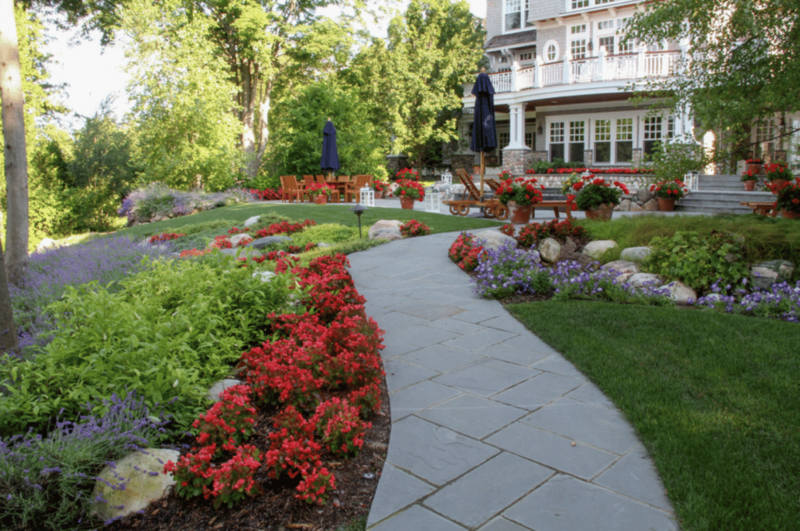 Put simply, hardscaping is a technique that utilizes durable materials to retain the surrounding soil or water to keep the desired landscape design. Use of hardscapes, as part of a landscape design, allow for more aesthetically pleasing designs that make the most of any space and make your home more enjoyable. 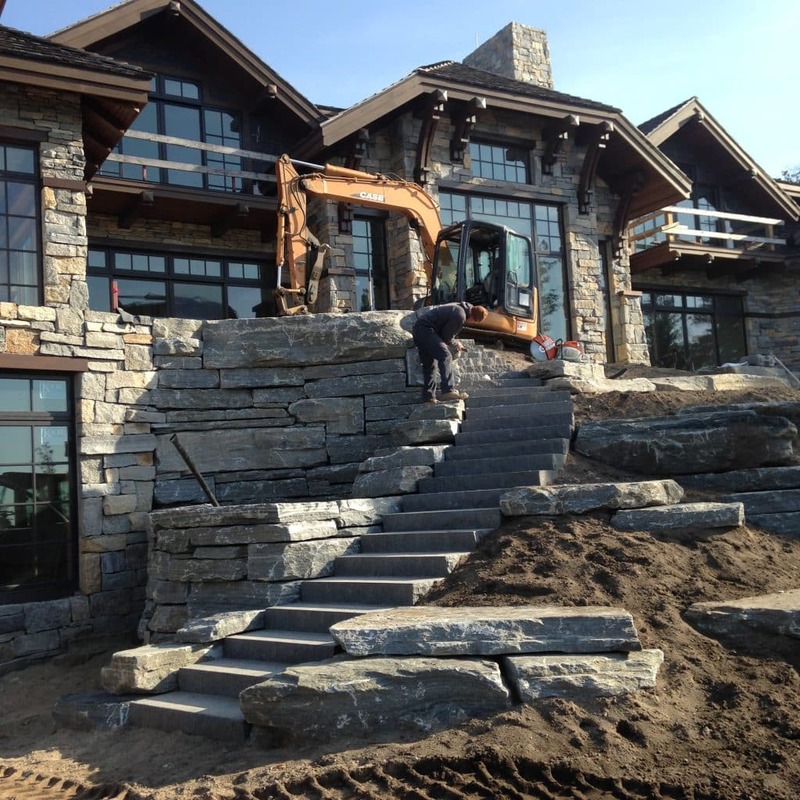 No matter if you’re entertaining, relaxing, or enjoying the beautiful northern Michigan outdoors – hardscapes are behind the scenes making your home more functional and strikingly remarkable. 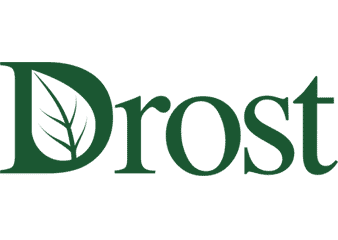 To give you a better idea of what hardscaping entails, let’s explore some of the ways Drost has used hardscape techniques for our clients and ignite your imagination. Driveways are the gateway to your home. 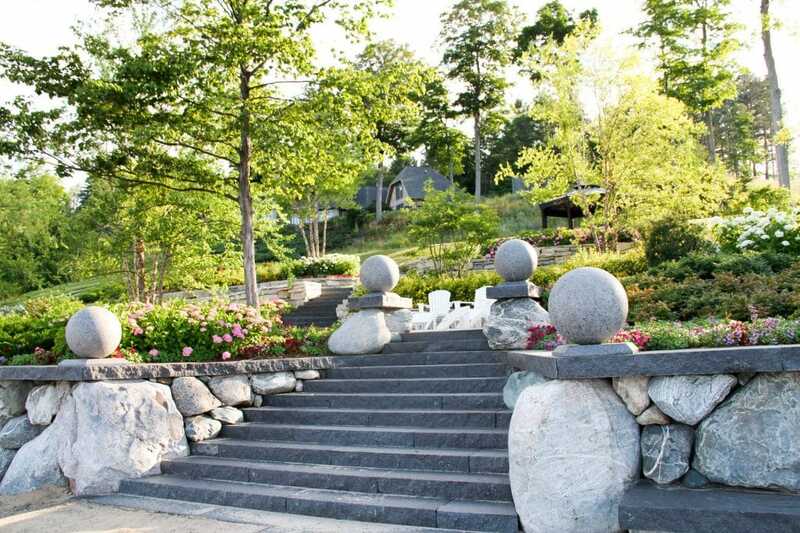 Just because they are a functional feature, doesn’t mean they can’t be a breathtakingly beautiful part of your landscape design with the right form and material. 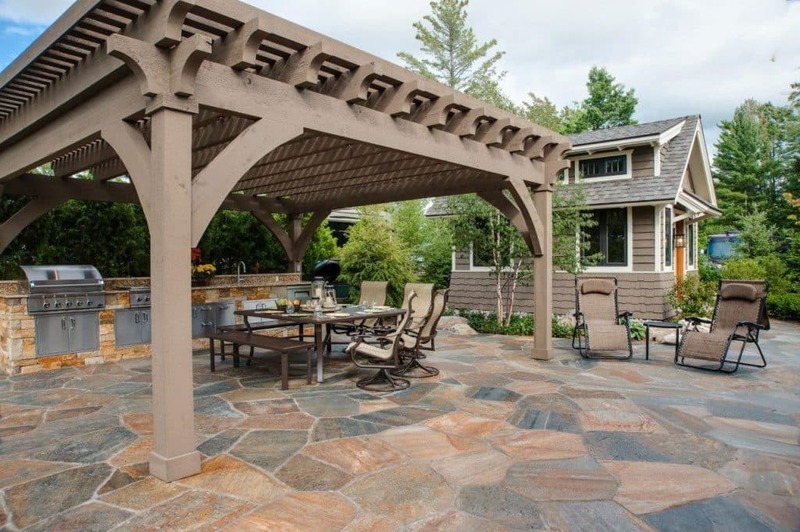 Durable stone patios provide years of enjoyment for friends and family with as many amenities as you can imagine. Adding a custom backyard patio to your landscape design is a low-maintenance element where you’ll find yourself frequently. 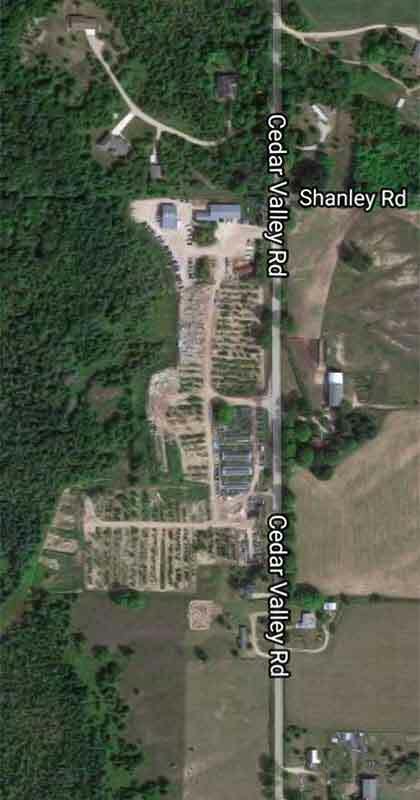 High traffic areas become serene pathways to traverse your property. No two paths are the same, with a character that fits the overall design and reflects you. Our landscape lighting services provide safety, as well as an ambiance you can feel. 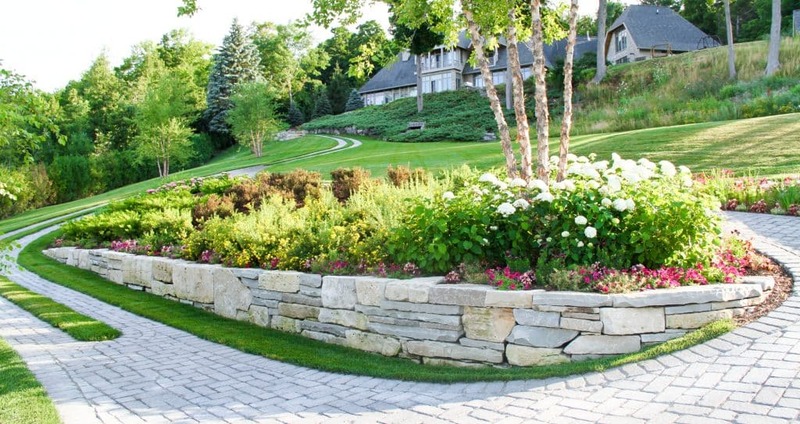 For many, the phrase retaining wall conjures images of a plain limestone retaining wall, solely functional and void of character. Rest assured, there are scores more options available. From landscaping rock walls with large boulders to intricately tiled walls and more, Drost accommodates the most discerning tastes. 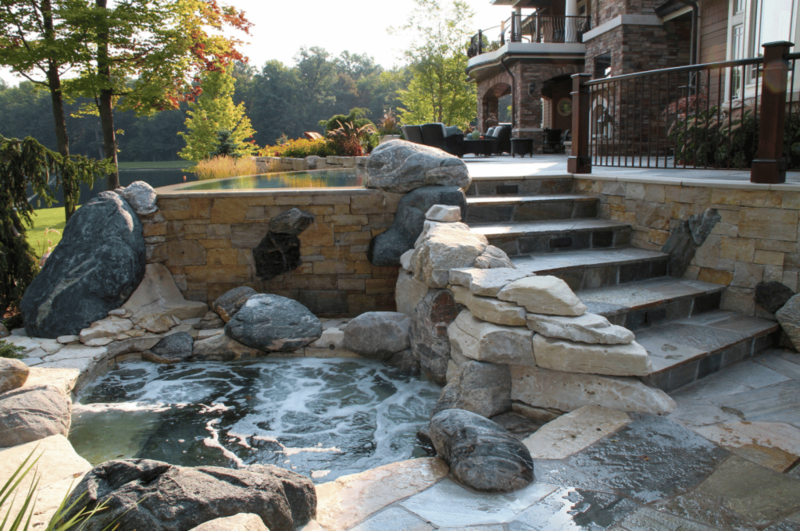 There’s nothing quite as enjoyable as a well-designed landscape water feature. From the sounds of water babbling over rocks to pools of clean and delightfully temperature-regulated swimming, soul-soothing soaking, and play. Nothing warms you on a northern Michigan evening quite like gathering around a burning fire. 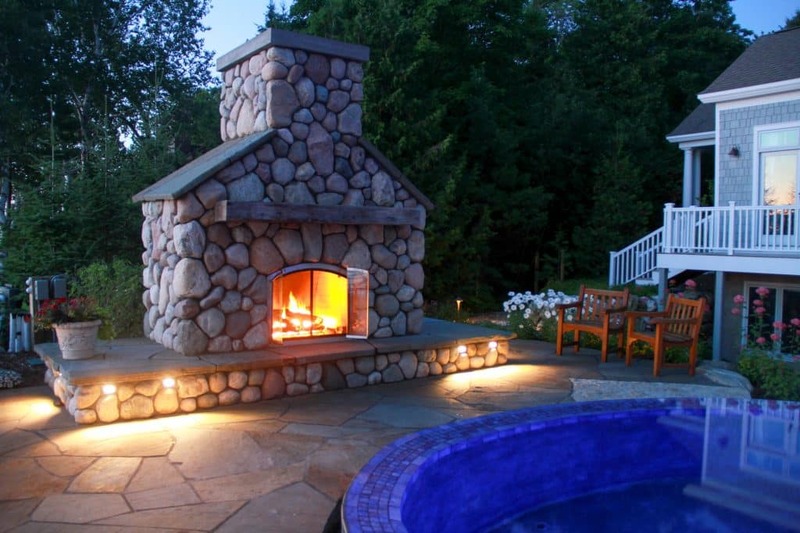 At Drost, we’ve built some incredible masonry fire pits, outdoor fireplaces, and outdoor summer kitchens for our clients. Choose a traditional crackling wood fire or a smoke-free option like pellet, gas or gel. Cook with your favorite method too, including infrared or induction. The sky is the limit. Some clients know this is the last home they will build. It’s a generational legacy that will be part of the family estate indefinitely. 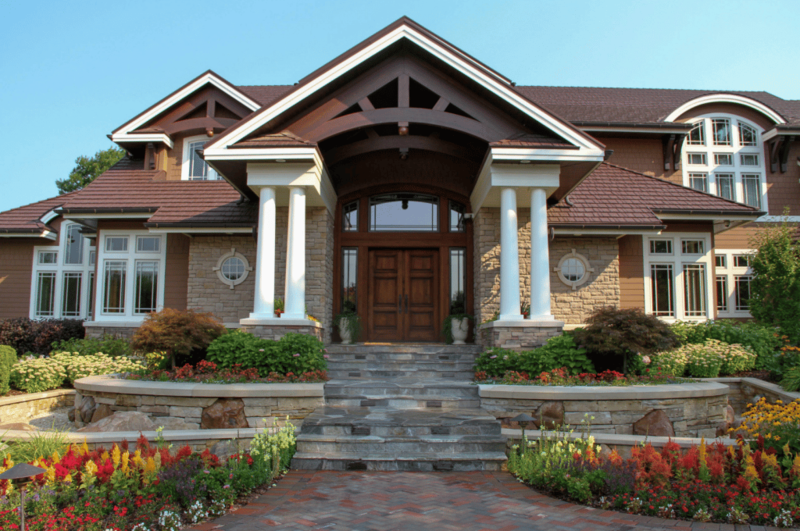 Whether this describes you or not, hardscapes undeniably create “curb appeal” for you or your buyers. 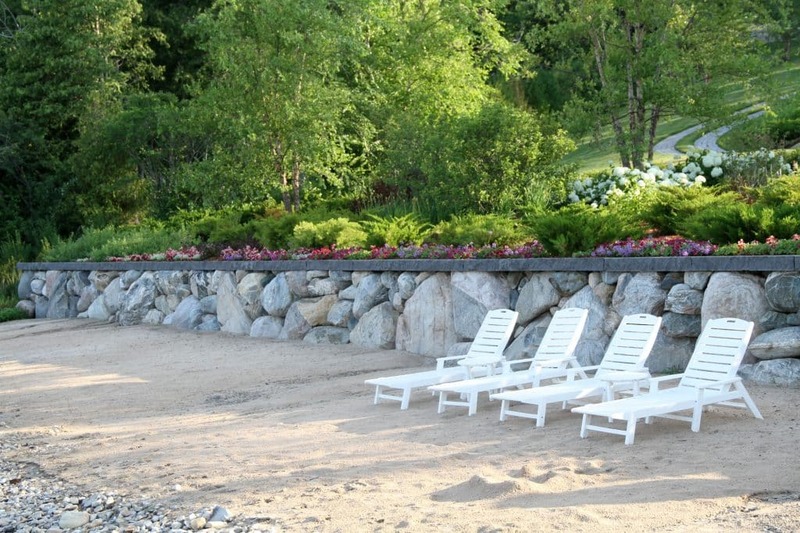 In a state with 15,000 lakes, don’t forget to consider the same curb appeal from the water side too. Trust the experience of over a quarter century of continuous operation. 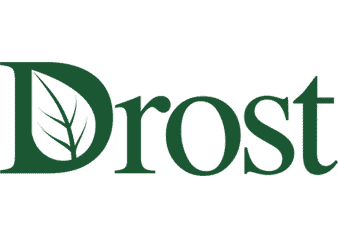 Drost has a full array of landscape services available – with the expertise to execute them flawlessly. From landscape design, construction, maintenance to tree services, lighting, and irrigation. Let us help shape to your imagination with our design process, utilize proven engineering and construction techniques to give it form, and maintain it to impeccable condition.